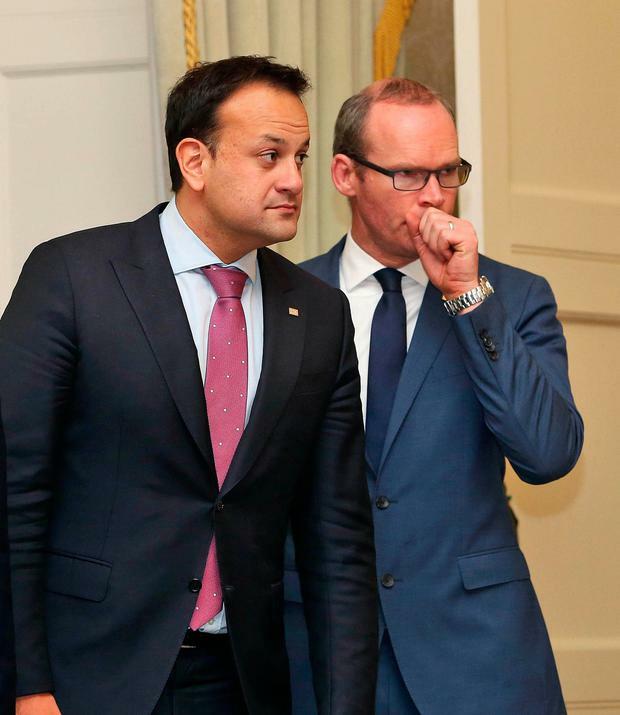 Leo Varadkar has described Enda Kenny as “an extraordinary Taoiseach and Fine Gael’s most successful leader ever” while the other main contender Simon Coveney has called Mr Kenny "a towering figure in modern Irish history". Mr Kenny announced this evening that he will step down as leader of the party from midnight, pulling the starting gun on a leadership battle which many believe will be between Mr Varadkar and Housing Minister Simon Coveney. "He brought Fine Gael from the edge of extinction to its current position as the largest party in the State. He brought Ireland from the brink of bankruptcy back on to the road to prosperity," Mr Varadkar said. Mr Varadkar said he’ll never forget the day that “Irish democracy was handed back from Troika”. “It’s incredible to think that we have climbed from those depths and are once again the fastest-growing economy in Europe. The Social Protection Minister added: “Against all the odds and in spite of predictions to the contrary, Enda fashioned a Government in 2016. Once again Enda didn’t flinch, and he brought stability to the Dáil, to Government, and to Ireland, at a time when there was no obvious solution. It was a privilege to be directly involved in those negotiations alongside the Taoiseach. “Subsequently Enda faced probably the toughest challenge of his career: that of Brexit. He has tackled this head-on with vigour and determination, and has secured the best possible situation for Ireland in advance of detailed Brexit discussions. The other main contender to replace Mr Kenny has also paid tribute to the Mayo TD. Simon Coveney said Mr Kenny has been “a towering figure in modern Irish history”. “When Enda took over the leadership of our Party we were broken and demoralised. With his vision, determination, positivity and relentless work-rate he led our Party back from defeat and to sustained electoral success, culminating in victory in the 2011 General Election and a record result for our Party,” he said. “I am proud to have served in Opposition and then in Government with Enda. I saw at close quarters how skilled and driven he was to succeed for our Party, in Government and for our Country. His record in Government since 2011 will be viewed very positively by historians, not least how he led the restoration of our economic financial independence over that period, which was a landmark event. Speaking on RTÉ's Drivetime this evening constituency rival Michael Ring said Mr Kenny gave all he could as leader of the country. "I've been serving alongside Enda Kenny since I became a member of Mayo County Council, as a member of the Dáil and I had the pleasure of proposing him on three occasions as leader of FG and whoever follows Enda Kenny will have to have great commitment, great stamina because he is somebody who gave it 17 and 18 hours a day. You might think that's an exaggeration, it's not, he gave it everything." Kevin Doyle: Enda Kenny's report card - where did he score 5 out of 10, where did he get 8? Watch: Remember that time Enda Kenny dad-danced, or played air guitar at Bruce Springsteen?